It’s really a new life for retro style. Almost every designer have in their portfolio something in retro style. Even if it’s a concept of PC. 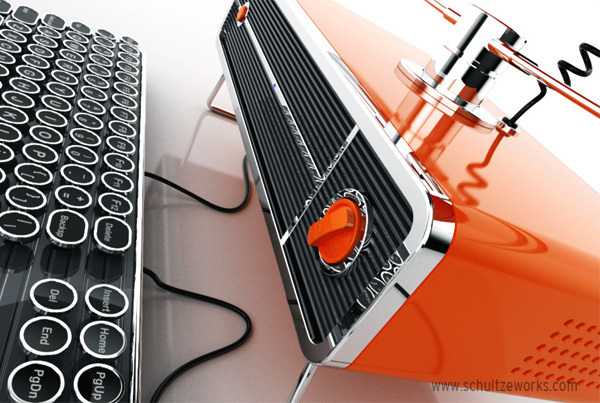 Created by design studio SchultzeWORKS this stylish computer was inspired by the 1954 Philco Predicta television. 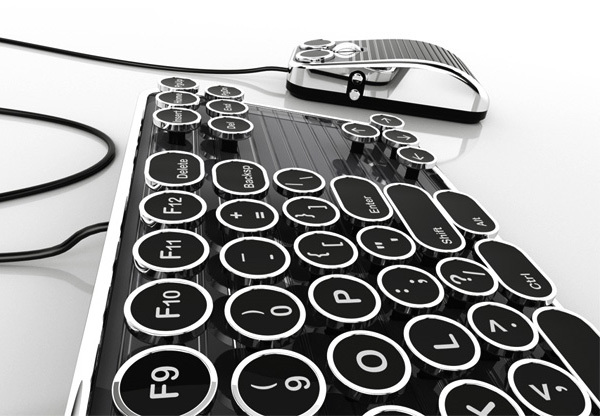 Keyboard and mouse are created in the typewriter style but also have steampunk features. 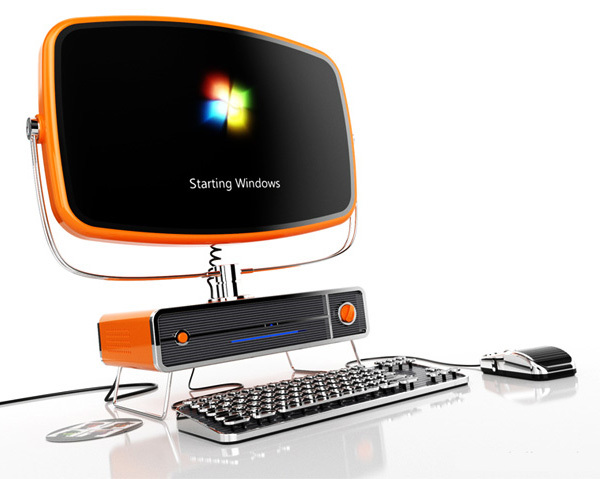 Besides its retro look Philco PC runs on Windows 7 and all its specs are modern. This bright PC is not for everyone and certainly can’t be mass-produced. But it will find its fans for sure. Me gustaría verla por detrás para conocer la manera en que conectaron el cinescopio. Me queda la duda si se trata de un cinescopio tradicional que requiere alto voltaje o sólo es un émulo que trabaja a partir de cristales líquidos. i want this computer it is absolutely beautiful!! It’s not steampunk – it’s dieselpunk. 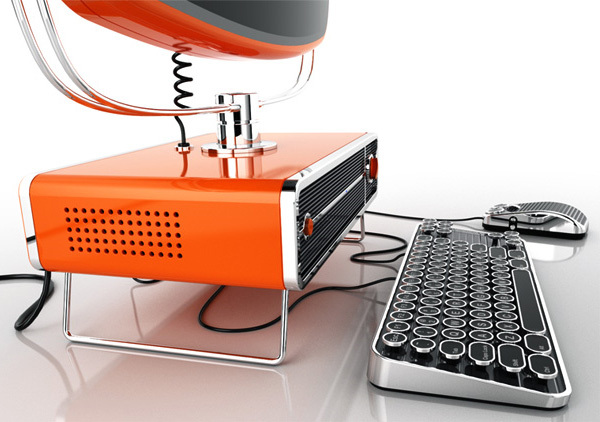 I want this computer so bad. It’s absolutely beautiful and uber cool!